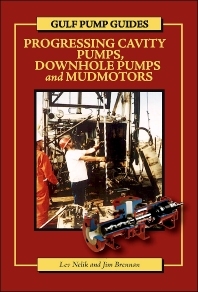 Written by one of the world’s foremost authorities on pumps, this first volume in Gulf Publishing Company’s Gulf Pump Guides series covers the design, application and troubleshooting for progressing cavity pumps, downhole pumps and mudmotors. There is no other volume offering a more comprehensive, easy-to-understand and hands-on coverage of these types of pumps. As they become more and more widely used in the petrochemical industry and other industries, knowledge of their design and application will become increasingly more important for the engineer. Example 2: What Happens if a Mismatched Rotor-Stator Pair is Combined? Multilobe versus Single-Lobe Geometry: More Performance?